I got ice cream. Specifically, a sundae. It was perfect. And therefore, my submission to this challenge of “The Letter S” is a photo of a Sundae. If your plans aren’t going the way you want them to, don’t panic. 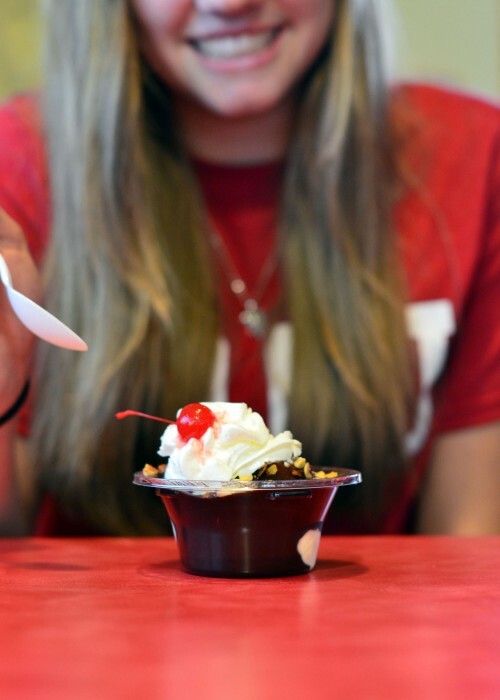 Take a deep breath, close your eyes, and take an hour out of your day to indulge in a sundae. I promise, you will not be disappointed. **Note** A special thank you to my wonderful model, Addison! She is fantastic! Also…I bribed her with free ice cream. Yes! It really does! Thanks for checking out the post, Dana!